It’s that time of the week again where we give you the list of Bollywood movies that are releasing on the coming Friday. 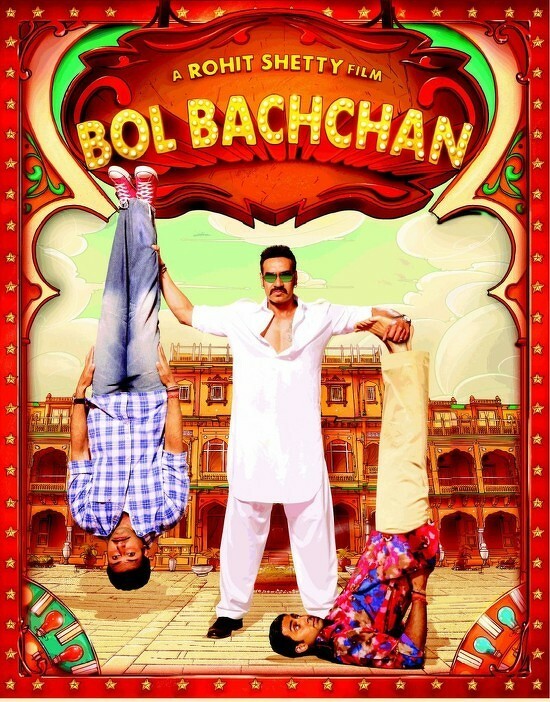 This week we have two Bollywood movie hit the theaters – Bol Bachchan and Overtime. Here’s a sneak peak. Bol Bachchan: The movie is a romantic comedy by Rohit Shetty and stars Abhishek Bachchan, Ajay Devgan, Prachi Desai and Asin in lead roles. 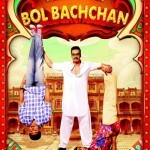 Bol Bachchan promos look colorful and fun like any other Rohit Shetty’s film. Abhishek plays a double role in this one and according to the actor this was his most difficult film till date! Ajay Devgan plays a pehalwaan who struggles with the English language. The promos have already shown him mouthing some funny one liners. The actresses Asin and Prachi Desai haven’t got much scope in the promos and we feel it would be the same in the movie too. Amitabh Bachchan also does a cameo in the movie’s title song. Looking at Rohit Shetty and Ajay Devgan’s track record together, this one should get a good opening. Overtime: A small budget film, Overtime is the story of a high profile call girl Khushi (played by Swati Sharma) who aspires to be an actress someday. The film stars Swati Sharma, Satish Kaushik, Zakir Hussain, Yashpal Sharma and Aarzoo Govitrikar in lead role. Directed by Ajay Yadav, we don’t have much hopes from this one. The star cast doesn’t look impressive and releasing it with a biggie like Bol Bachchan further reduces it’s chances to do well at the Box Office. In addition to these, 3 Bachelors which we featured in last week’s Friday releases was eventually not released last week and will release on 6th July instead. So these are our Friday releases for 6th July. Bol Bachchan definitely looks a winner as of now however how well it can perform at the Box Office remains to be seen. Go watch Bol Bachchan and Overtime this weekend and don’t forget to share your views with us!